Essay 13. Can We Forecast the Fall of Today’s Empires? Essay 21. Can Atheists Be Our Leaders? 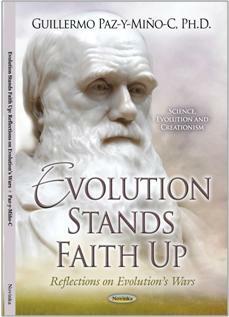 The author has a marvellously eloquent style of writing, full of inspiring metaphors and lateral observations that reinforce connections to the foundations of scientific inquiry and to biological evolution in particular. These thoughtful essays are accessible to the general public and an inspiration to all of us who should write an occasional essay for our local newspaper or an online blog to help clear the fog in our own communities and arm our neighbors against theistic anti-science, medical quackery and other irrational nonsense. There is a connection between Portugal’s cultural and historical commitment to explore the unknown and what just happened at the XIV European Society for Evolutionary Biology (ESEB) meeting held in Lisbon August 19 to 24, 2013. But a preamble here is merited before I address the conference’s substantial outcomes. 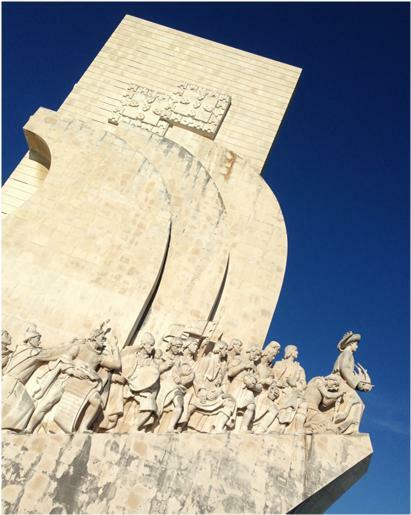 Portugal’s and Spain’s leadership during The Age of Discovery (1500s-1600s) is undeniable. The Treaty of Tordesillas, signed in 1494, aimed at sharing between both kingdoms the geopolitical control of the world, as much as it could be explored, conquered and, inevitably by post-Crusade-invasion practices, Christianized. And so it was. Monument to The Discoveries with Henry The Navigator leading it, Lisbon, Photo © 2013 Guillermo Paz-y-Miño-C.
Exploration and discovery did nurture Europe’s curiosity for sighting the “planet’s final frontiers” in the 16th and 17th centuries, starting with the uncertainty of Earth’s shape and its implications for circumnavigation. But trade and profit were the vested motivators for the monarchies to “globalize” their understanding of the world which, 500 years ago, was not even conceived as a globe. In a classical Type One error effort —to use modern science terminology— Christopher Columbus, a Genoese explorer sponsored by Spain, failed at arriving to Asia via the Pacific, and instead bumped into unfamiliar terra firma in 1492. Columbus was conceptually wrong and died, in 1506, unaware of the mistake, but his maritime adventure brought, nonetheless, unprecedented wealth to Europe. The Portuguese Vasco da Gama tested with success, from 1497-1499, an alternative proposal: that India could be reached if sailing around Africa, relying, of course, on the Earth’s roundness, plus novel technology, instrumentation, and vessel design. In retrospect, Columbus and da Gama quests seeded today’s world interconnectedness. But it was science inspiring mere pursuit of knowledge —equivalent to research programs— which led to the prosperity later harvested. Both Columbus and da Gama thought the former arrived in the “West Indies.” Yet, it took additional expeditions (1499-1504), by cartographer Amerigo Vespucci, from Florence, to conjecture the existence of an entirely new continent in the Pacific, a major “paradigm shift” not unusual in science considering it relies on seeking the truth via skepticism. 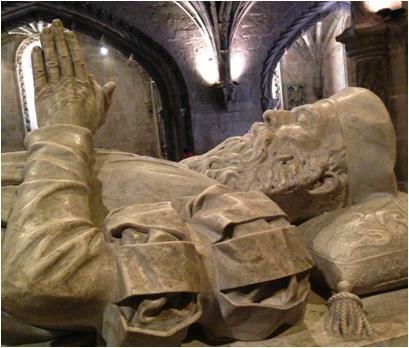 Tomb of Vasco da Gama in the Jeronimos Monastery, Lisbon, Photo © 2013 Guillermo Paz-y-Miño-C.
And science, materialized for its intrinsic significance, curiosity-driven and respected for advancing knowledge and debunking myth —rather than for amassing fortune when its applications expedite income for entrepreneurs— was the spirit of 1,500 international delegates gathered at ESEB 2013. Lisbon was ideal for a conference about ancestry and change, legacy and improvement, the essence of evolutionary biology. At 34 symposia and 74 plenary talks, 360 speakers and authors of 900 posters discussed genetic and non-genetic (cultural) inheritance of traits, animal behavior, mechanisms of species recognition to avoid hybridization, natural and sexual selection, host-parasite interactions, human evolution, aging and senescence, emergence of drug resistance, conservation of wildlife, online resources and quantitative simulations to teach evolution, and climate-change impacts on ecological and evolutionary processes. A sense of “fundamental research is what matters, not the sheer application of science for revenue” resounded during the conference. The concern that funding for basic science is scarce worldwide, the disinterest among benefactors in sponsoring “why questions” in studies, and rather favoring the “how much return will that generate for the industry, the patenting system, the biolabs, the administrative overheads,” and the uncertainty about the future of exploring ultimate queries —the reason for science’s existence— were at the heart of small talking during the conference. 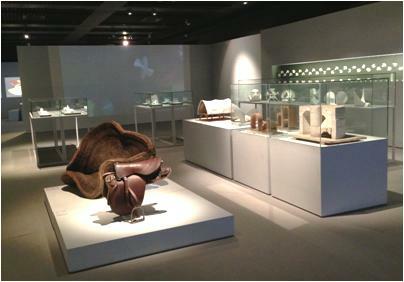 Splendid exhibit “Forms and Formulas” at Lisbon’s National Museum of Natural History and Science, Photo © 2013 Guillermo Paz-y-Miño-C. But ESEB 2013 was not alone in this respect. During this summer, US researchers had specifically addressed the importance of sponsoring significant investigations. The Animal Behavior Society (ABS), for example, organized at its 50th anniversary meetings in Boulder, Colorado, July 28 to August 1st, the discussion “Time to Step Up! Defending Basic Science,” under the premise that behavioral research has been “ridiculed” and caricatured by elected officials as “wasteful government spending.” Ironically, behaviorists are the “role models” who continue to inspire worldwide interest in science, and ABS provided a list of them: Edward O. Wilson, Richard Dawkins, Judy A. Stamps, John Maynard Smith, and William D. Hamilton, among 15 others. Likewise, the American Society for Microbiology featured in Denver, Colorado, May 18 to 21, the President’s Forum “Curiosity-Driven Basic Research: Laying the Foundation for Discoveries and Application of the Future,” where “the critical importance of basic investigations and the need to articulate why discovery is so essential” was the consensus. And it cannot be otherwise at times when trivialization of reality, fed by entertainment, belief in the supernatural, disrespect for education, and self confidence nourished by how much is in the pocket, rather than in the schooled mind, can lead the populous to applaud emptiness. But Lisbon taught us a lesson: its beauty and history, museums and palaces, cathedrals and monuments all honored the value of discovery, the irrefutable foundation of true civilizations. — © 2013 by Guillermo Paz-y-Miño-C. all rights reserved. Can We Forecast the Fall of Today’s Empires?